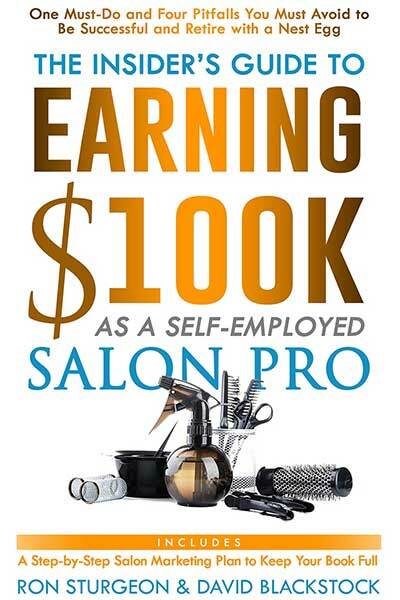 Practical advice on making the jump from employee to independent, the book includes the real-world perspectives of five other successful independent stylists and tips from a salon-suite leasing agent about choosing a location and the questions to ask before leasing space. If you’ve ever wondered why you’re discussing a bake-off or herding cats in a business meeting, then it’s probably time to get a grip on Green Weenies and Due Diligence. Chinese edition of Green Weenies & Due Diligence. 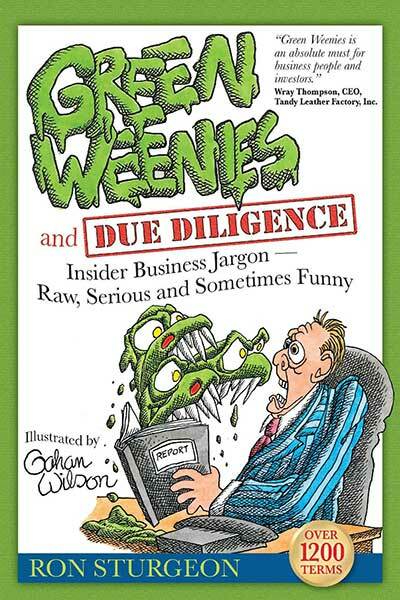 Romanian translation of Green Weenies & Due Dilgence, the reference guide to business terms – both humorous and serious – navigates the often-tricky waters of corporate America. The new updated second edition entitled How To Salvage More Millions from Your Small Business includes more than 160 practical tips and techniques for finding customers, reducing costs, managing employees for maximum productivity, and increasing your profits in any economic climate. Getting to Yes with Your Banker is a concise, insightful (but sometimes humorous) guide to understanding the world of banking – and how a small businessman can navigate its tricky waters. Even if you’ve never heard of peer benchmarking groups before you picked up this book, you know more about it than you think. You’ve already heard phrases related to the basic concept—two heads are better than one, let’s put our heads together, don’t reinvent the wheel, etc. FUN, PRACTICAL, AND POWERFUL, EVENT MARKETING CAN HELP YOUR SMALL BUSINESS BECOME BIGGER, BETTER, AND MORE PROFITABLE. IT CAN SET YOUR BUSINESS APART AND MAKE IT THE ONE EVERYONE IS TALKING ABOUT. 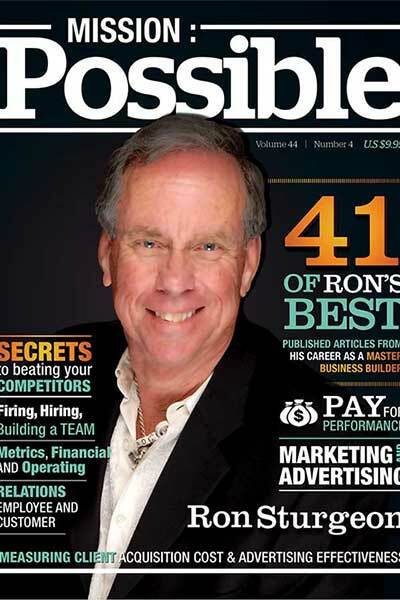 A collection of the best management tips from articles written by Ron Sturgeon, small business consultant. Included is an article on the seven biggest advertising mistakes most businesses make. Ron’s “Shamed Cavalier” book about his dogs. This is a free epub download for use on your iPod/iPhone/iPad or other mobile devices. The first edition of How To Salvage Millions From Your Small Business was published just after the Internet bubble burst. Tech stocks tumbled overnight, businesses closed, and jobs disappeared. Первое издание как спасти миллионы на ваш малый бизнес был опубликован сразу после лопнувшего пузыря Интернета. Технологические акции упали на ночь, предприятия закрыты, а рабочие места исчезли.